Splurging on foods like chocolate,coffee and red wine always seem to involve a little guilt, but if you consume them in moderation, you might actually be doing your body some good. Scroll down for more not-so-guilty pleasures. Doctors usually encourage dark chocolate over milk chocolate because it’s lower in sugar and fat, but it also contains antioxidants and other good stuff that make it a great treat. Dark chocolate is especially rich in cocoa, which containsflavonals and antioxidants. They can help with blood pressure, cancer prevention and heart attack prevention, research has shown. A study published last week revealed that chocolate might also boost memory and cognitive ability by increasing blood flow to the brain. It’s not clear exactly how this happens, but the results are intriguing. But you can have too much of a good thing, warned Dr. Michael Blaha, a cardiologist at the Johns Hopkins Ciccarone Center for the Prevention of Heart Disease. Consuming in moderation is the best way to reap the benefits without overloading on sugar. A Glass of Red Wine a Day Keeps the Cholesterol Away? 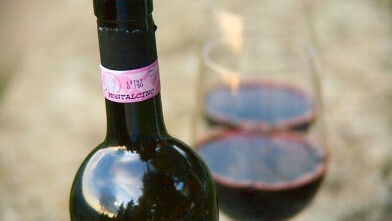 Researchers have studied red wine for years, searching for more information about its effects on aging and metabolism. A small 2011 study also revealed that a red wine ingredient, resveratrol, lowered blood pressure, blood glucose and liver fat in obese men. But it didn’t lead to weight loss. And even though there appear to be some health benefits, the American Heart Association doesn’t recommend that people start drinking alcohol to reap them. OK. 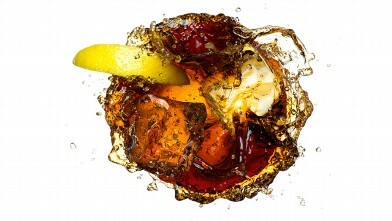 Diet soda still isn’t as good as water, but doctors would rather you drink a diet soda than a regular one. And preferably as a treat. He says he often hears patients say they heard diet soda was worse than sugary soda, but they’re wrong. A 20-ounce soda per day results in a pound of weight gain per week, which puts patients at higher risk for obesity, diabetes and heart disease. The fear of fat scared a lot of people away from nuts, but Blaha said they’re a great snack because they have the good-for-you fats — and more. Walnuts and almonds are the best, but peanuts, which are technically legumes, are almost as good. 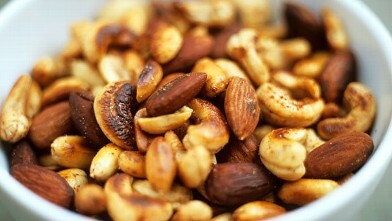 Blaha said nuts packed with healthy protein and oils. They’re also good at making people feel full. Kendrick knows pizza has a bad reputation — and for good reason! When it’s loaded with high fat meat, tons of cheese and grease, it can be a calorie bomb. 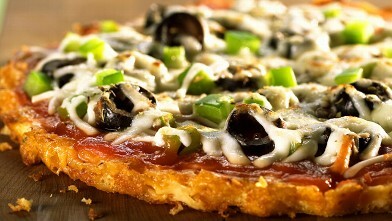 But giving your pizza a makeover can make it a satisfying not-so-guilty pleasure. People tend to feel guilty about their coffee consumption, but some research suggests it’s good for the brain, Kendrick said. It may reduce risk of dementia, Alzheimer’s and Parkinson’s disease. And antioxidants help with cell repair. Blaha added that coffee has also been shown to improve the body’s insulin sensitivity and sugar metabolism to lower the risk for diabetes, which is always a bonus when it comes to heart health. But don’t over-do it, he said. 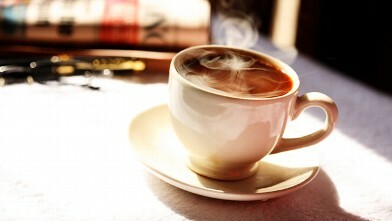 Too much coffee can result in irregular heartbeats. People should also recognize that a cup of coffee may mean a black cup of coffee to one person but a “triple cappuccino with whipped cream” to someone else. It’s best to avoid the calories and stick to a regular old cup of coffee, she said.